Insurance companies have increasingly been requesting polygraph tests when faced with unverifiable claims. Insurance sector experts in Ireland estimate that insurance fraud costs the industry around €90m per year. Far from this being a victimless crime, the result is that every single policy holder pays for this by way of increased premiums. 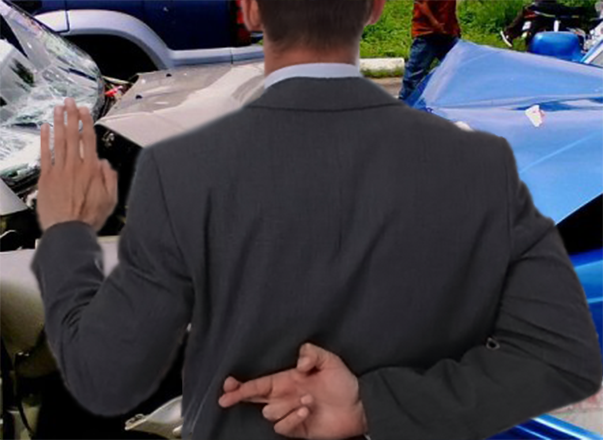 Staged accidents top the list of insurance scams often involving criminal gangs. However other frauds include fake personal injury claims, staged burglaries and genuine claims where losses are inflated to receive higher payouts. When used as part of the investigative process, polygraphs can also help to either exonerate or implicate suspects or witnesses. Such investigations can significantly reduce costs for both investigators and companies, by helping to reduce the number of false and fraudulent claims. In helping to prevent fraudulent claims being paid by Insurers we are helping an industry rife with fraud. Reducing the number of fraudulent claims, verifying facts on reports and filling in the answers when there is no tangible proof available otherwise, we can offer a real return on investment for the insurance industry. Do insurance use lie detectors? Some companies have used devices on the phone. Some request professional examinations if the credibility of your version is questionable. In most cases a polygraph examination would be the best solution to these types of disputes between parties. If you are telling the truth but have no other way to prove it, a lie detector test may be your only recourse. Our experiences show that many times just a request for a test can bring answers and details to light that might otherwise have remained hidden, but just a threat is not enough, as there are still people that think they can beat a polygraph. Attempting to alter the results of a polygraph test does not let someone pass, it makes the test invalid. Those requesting a test can usually safely assume refusal or refusing to follow the direction of the examiner and trying to effect results are not the actions of an honest person.